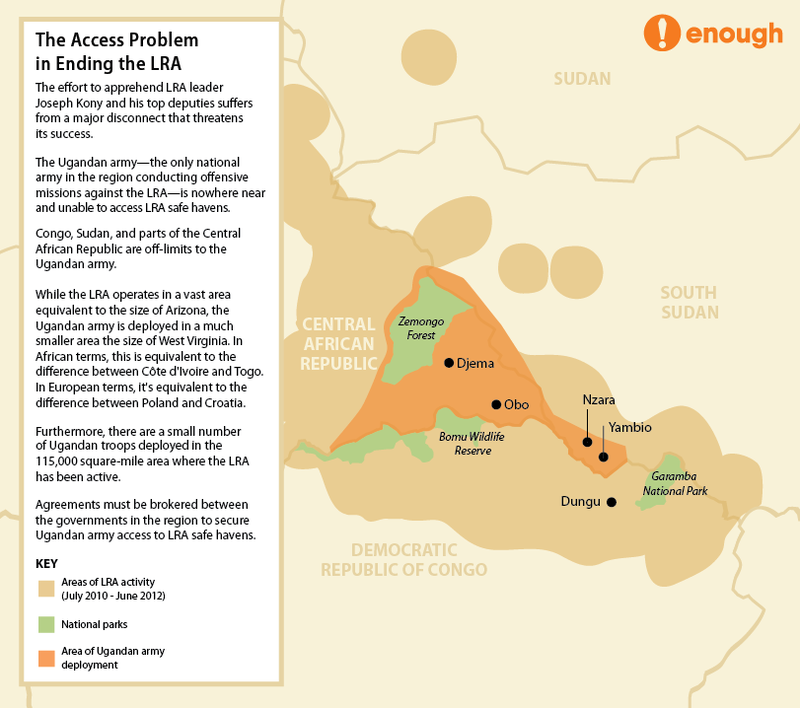 Safe havens: One of the top obstacles to successful military operations against the LRA is that the Ugandan army – the only force conducting offensive operations against the LRA – has been prohibited from operating in key areas where the group is located. As a result, safe havens for the LRA have developed. If this problem is not solved, the current operations, including the current U.S. military advisor mission will be unable to succeed in apprehending the LRA’s top leaders and protecting civilians. The issue of safe havens emerged in previous counter-LRA operations from 2001to 2003 in Sudan. This matter inspired an agreement between Uganda and Sudan, which allowed Ugandan troops into certain areas of Sudan to pursue the LRA. A similar agreement is needed today, and the U.S. can play a part in facilitating such an arrangement.